With the upcoming confirmation vote of education secretary nominee Betsy DeVos, the level of anger is rising. DeVos is a billionaire Republican donor who lacks any experience in education policy, favors privatization of schools with little accountability, and wants to advance “God’s Kingdom” through her work. According to the Center for American Progress, the DeVos family has given $4 million to the senate committee vetting her. Democrats need just one more Republican to flip in order to successful block DeVos’s confirmation. 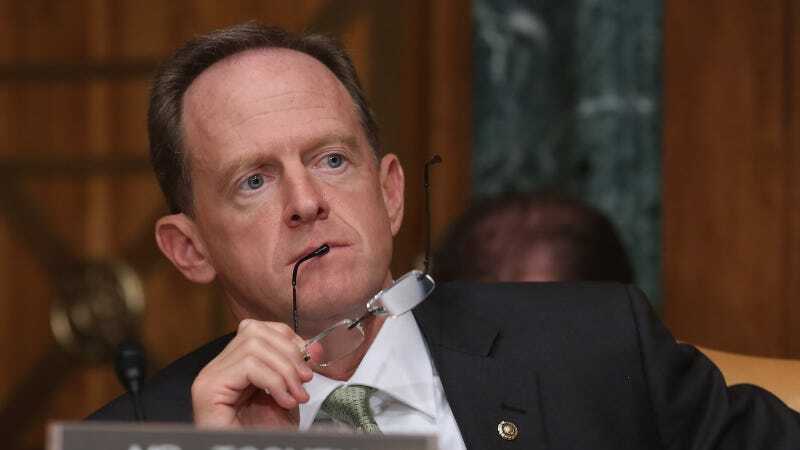 Toomey, who is among the politicians DeVos has donated to in recent years, has pledged to vote for DeVos, is considered by at least one congressional democrat as the “best option” for blocking DeVos. Pennsylvania educator Katherine Frtiz has now started a GoFundMe account to raise money for Toomey with the hope of “buying” his vote back from DeVos for $55,800—the same amount, she says, that DeVos has donated to Toomey. “Our education system shouldn’t be ‘pay-to-play,’ and neither should our democracy,” the GoFundMe reads. So far, the effort has raised over $16,000. The proceeds are, of course, not really going to Toomey. Fritz says she will donate them to Camp Sojourner, the Pennsylvania Arts Education Network, and the Children’s Literacy Initiative. The point, though, is to find a way to get through to the senator. “I’ve been making phone calls nearly every day since the election, and find that I’m frequently unable to get ahold of a staffer at Senator Toomey’s office to comment on an issue,” Fritz told Jezebel. “The phone lines are frequently busy and the voicemails are often full. When I am able to speak with a staffer, they are universally polite and patient, but I’m calling each district office every day, sometimes more than once a day, and I’m getting through maybe one in every three days. I started sending faxes when the phone lines were just too busy.” (Toomey is currently the most-faxed member of Congress). Have YOU been able to reach Sen. Toomey?